I ordered six mini shadows and received one sample. 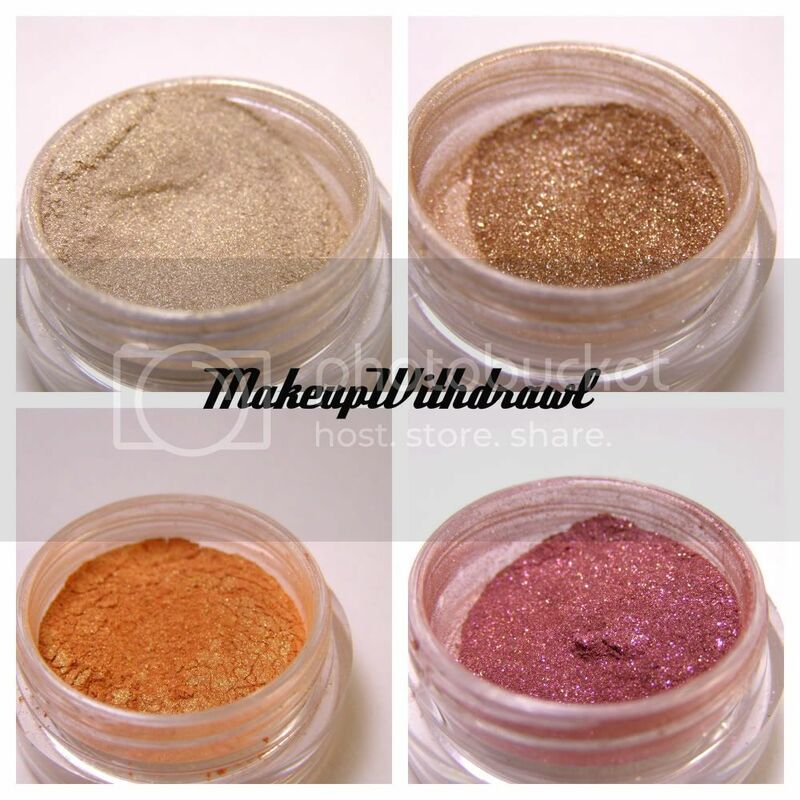 I'm truly sorry that the cold weather outside does not allow me swatch these the way I want to, out in the sunlight. In all the swatches, the left hand side is on dry skin and the right hand side is over Pixie Epoxy. Polar Bear is a light beige-y gold with a slight smokey base. One of my all time favorite shadows. I actually owned this before but managed to lose it. It's so good, I had to rebuy. 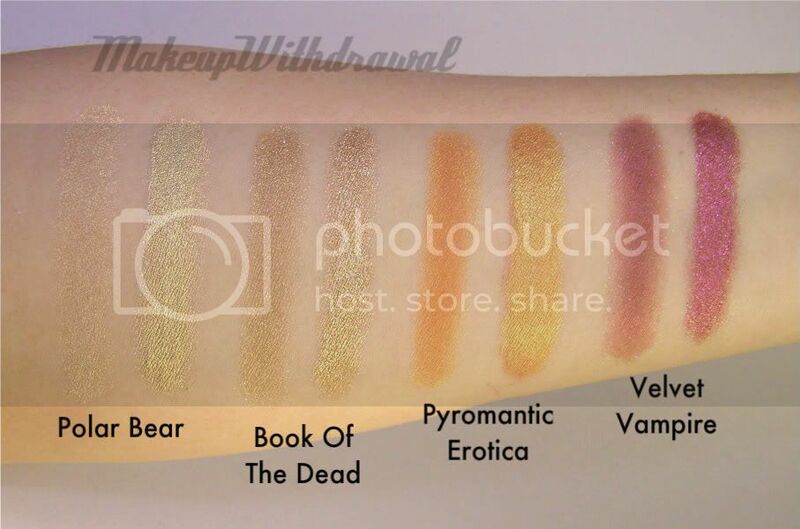 Book Of The Dead is a tawny gold sparkle. Pyromantic Erotica (Arcane Magic) is orange with a subtle green sheen. Velvet Vampire (Arcane Magic) is a rose with bright pink sparks. Tyr looks like a light minty jade in the pot, but it turns out to have a black base with green and gold sparkles. 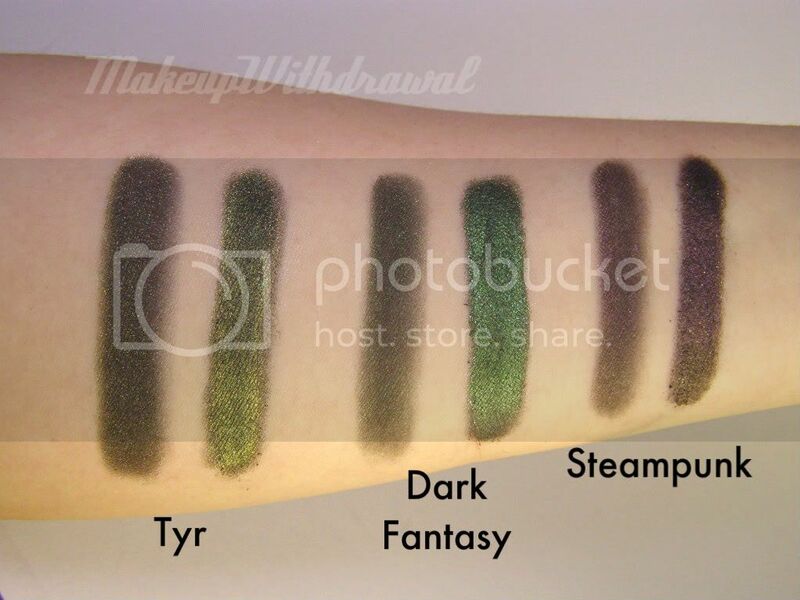 Dark Fantasy (Arcane Magic) is also a blackened base, with rich green forest sparkle. Steampunk (Arcane Magic) has a dark base, with brown sparkles. At some angles, it looks magenta, truly a marvel. Sigh. I wish it was spring already.